SkillsUSA offers Student2Student Mentoring as a national mentoring program that provides a way for our members to participate in America’s Promise Alliance. Mentoring is a voluntary relationship between two people: a middle school, a high-school or college student and a younger student (usually one in middle school). The aim is to encourage younger students to explore future careers and make decisions that will lead to marketable skills and productive futures. 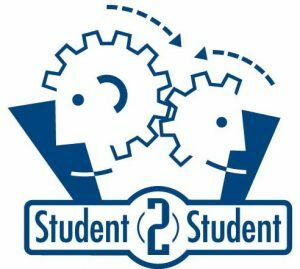 Participating in Student2Student starts with identifying a younger group of students to mentor. Next, the SkillsUSA chapter meets with school administrators and asks permission to mentor. Then members start planning activities and set some dates on the calendar. On mentoring day, the fun begins with icebreakers and other activities. After participants get to know each other, they engage in hands-on activities designed to encourage the younger students to think about career options. Activities may include holding a career day, conducting job skill demonstrations, making a joint visit to a science or technology museum or even holding a community service project together. The goal is to get the younger students thinking about their future careers as they work with their older mentors and see technical training programs firsthand. Younger students benefit by having a chance to visit one or more technical programs, see the school they may attend and learn about various careers. Mentors develop self-confidence as they demonstrate what they are learning in their training programs. The school is showcased to the community, and specific training programs can even recruit future students. SkillsUSA sponsors a national recognition program based on the Student2Student mentoring program. The program recognizes excellence by selecting the chapter that best exemplifies the purposes and goals of the Student2Student Mentoring program. The Grand Prize chapter will be invited to attend the national conference and present its winning mentoring program as a part of SkillsUSA University. The Grand Prize chapter also receives a plaque, a $500 check for the chapter to use toward expanding next year’s mentoring project, and a $500 stipend for the chapter advisor and at least one student to attend the national conference. For information, call Gayle Silvey, gsilvey@skillsusa.org. Download our advisor’s mentoring guide, which explains how to implement this program in your school. Learn more about America’s Promise. Learn how your school can get national recognition for your mentoring program.